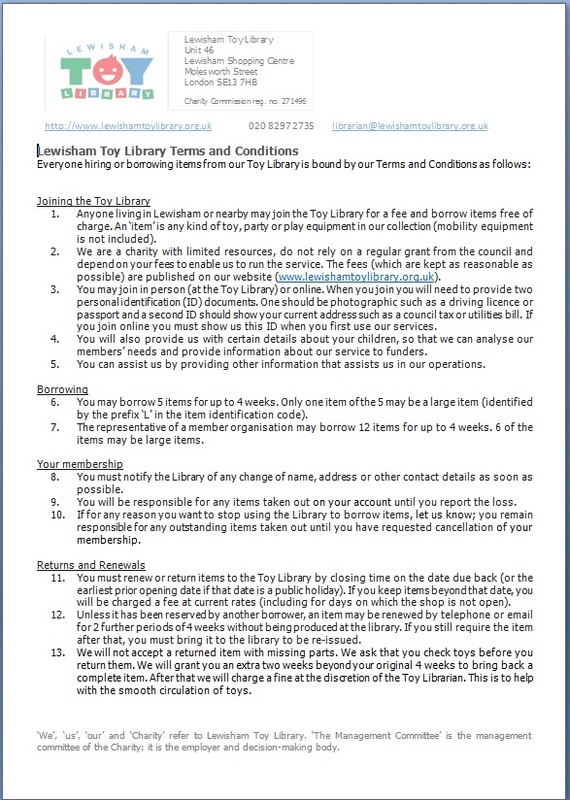 Lewisham Toy Library is open at Unit 46 in Lewisham Shopping Centre (the north-west entry corridor; near Boots and Tiger). 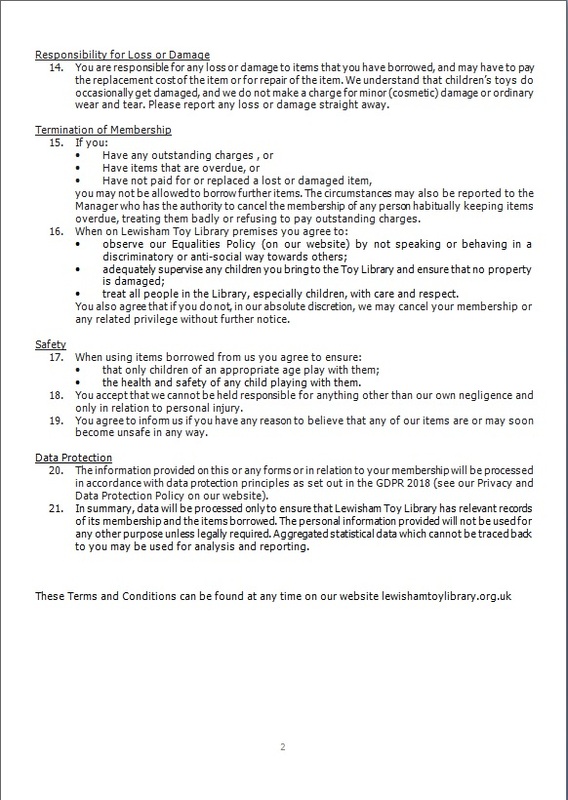 Either you can come to the Toy Library and join by bringing 2 proofs of address (gas bill, bank statement etc.) or 1 Photo ID (driver’s licence), or you can join us online here. A Toy Library a place where children or their parents can borrow toys to take home. Children need a great variety of toys not only to play with but also to develop skills. Their tastes though are not always predictable and toys can be expensive. Hence the idea of a lending service. It is open to all families who live in and around the Lewisham Borough. At the moment we have over 400 members! A wide (2000+) range of toys specially selected to help improve your child’s skills and also for enjoyment, including educational toys, puzzles and construction toys. We also hold a lot of toys for children with special needs.